Moscow is not going to withdraw its troops from Transnistria because of Ukranian crisis, Russian Foreign Ministry Special Envoy Sergei Gubarev said Thursday. MOSCOW (Sputnik) – Moscow is unable to withdraw its operative military group from Transnistria because of the situation in Ukraine, Russian Foreign Ministry Special Envoy Sergei Gubarev said Thursday. 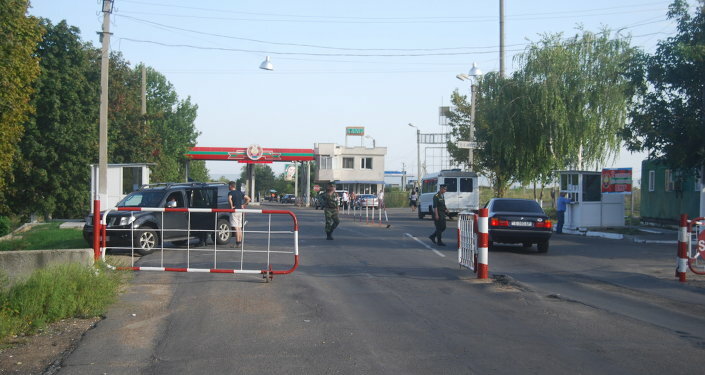 "As soon as the possibility arises to withdraw arms stored at the depot in Kolbasna [Transnistria] to scrap them in Russia, then the need for presence and the continuation of activity by the group of Russian troops will end, and these people will finally be able to return home," Gubarev said during a live linkup conference. Gubarev avoided supplying a date of when the final withdrawal of Russian troops and armory would occur because of the situation in Ukraine since cargoes would need to cross Ukrainian territory. "I’m not the kind of person who would take on the responsibility right now to send several convoys of deadly cargo through Ukraine when there are such dramatic events going on there," Gubarev added. Transnistria is located between the left bank of Dniester River and the eastern Moldovan border with Ukraine. It broke away from Chisinau in the 1990s, fearing Moldova might seek to reunify with neighboring Romania. Some 60 percent of its population are Russians and Ukrainians. In 1992, after the War of Transnistria, the Moldovan authorities virtually lost control over the region. While seeking international recognition, Transnistria is designated by Moldova as autonomy within a unitary state. The Joint Peacekeeping Forces' mission maintains stability in the region.